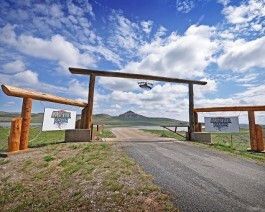 Monster Lake Ranch is conveniently located just 8 miles south of downtown Cody. It is known for it’s world-class fly fishing and also offers comfortable lodging, trail rides, upland bird hunting, hiking, wildlife viewing, wedding/event facilities and corporate retreats. Monster Lake has, for decades, provided a recreational respite for adventurous and discriminating travelers. Monster Lake staff await your arrival for a trip that you won’t soon forget. Open year-round. No Pets.